Afterlife Voyage 002 by Vaal : the second offering in the exploratory concept’s mix series sees Vaal embark on an intrepid ‘Voyage’ of her own! - Track? !D. Home » Afterlife » Geo Myros » Mixes » Sets » Slider » Updates » Vaal » Ver » Afterlife Voyage 002 by Vaal : the second offering in the exploratory concept’s mix series sees Vaal embark on an intrepid ‘Voyage’ of her own! Afterlife Voyage 002 by Vaal : the second offering in the exploratory concept’s mix series sees Vaal embark on an intrepid ‘Voyage’ of her own! With episode one from brand curators Tale Of Us encapsulating their hugely successful Afterlife events and record label, the second offering in the exploratory concept’s mix series sees Vaal embark on an intrepid ‘Voyage’ of her own - which is now available to listen via Soundcloud. 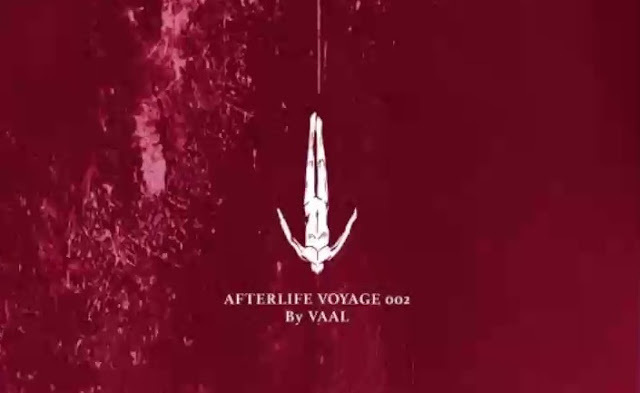 Having already appeared on the Afterlife imprint for a soulful and lamenting three-track EP named ‘Wander to Hell’ last October, Vaal’s offering for Voyage 002 keeps with the possessive spirit of Afterlife and traverses techno where others retreat. In this fittingly free-feeling 100-minute mix, Vaal conjures up the emotions that saturate her minimal style; “equally human, equally electronic”, resulting in an experience that’s always arresting and deeply affecting. A regular guest of Afterlife as it tours - recent dates include a UK debut and showcases in Miami for Art Basel as well as Mexico - Vaal earmarks herself as a rising talent in 2017 and one that is not scared to experiment.